Yeehaw!!! 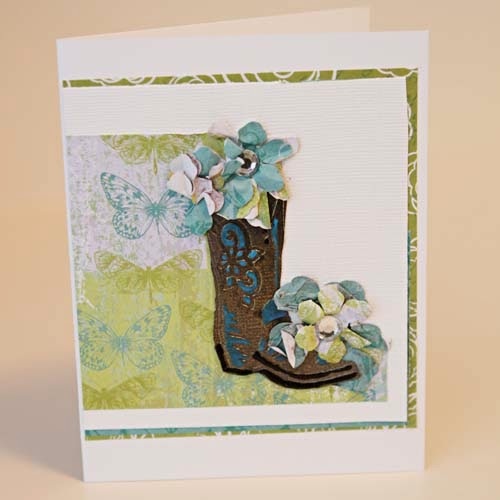 If you are looking to add a western flair to your layouts and cards look no more! The Spellbinders Shapeabilities In'spire Die Cowboy Stomp is a beautiful intricate die that adds pizzazz to any project. 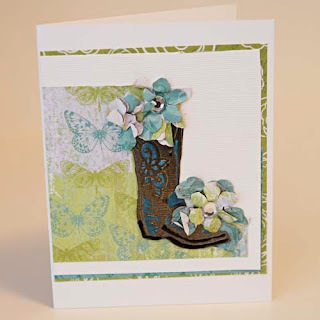 Check out the card by Rosie N. combined with the Heartfelt Creations flowers.